Restless Wheels is your one stop shop for all your RV warranty and service needs. Our experienced shop can even repair any needed bodywork. Our location makes us convenient to customers from all over Prince William County, Fairfax County, Northern Virginia, Washington DC and the Maryland suburbs. 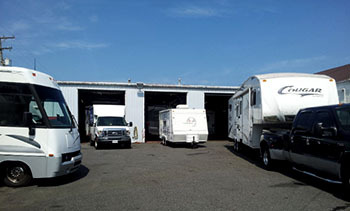 Here at Restless Wheels we provide full RV service with the lowest labor rates in Northern Virginia. At Restless Wheels, you can count on receiving quality service. It's what our business is built on - taking care of every customer after the sale even if you did not originally buy from us. It's one of the reasons that our customers return. We also install RV parts and RV accessories from our RV Parts department. 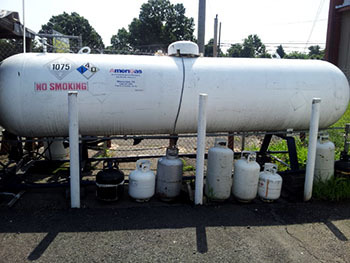 Our Special Services including: trailer hitch installation, axle replacements, lifter kits for all trailers, EPDM rubber roof replacements, oil changes on all motorized diesel and gas RV's, tire replacement, insurance repair services, and more. To contact our Service department call us at 703-257-1067 or fill out the form below. Call 703-257-1067 today or complete our appointment request form for RV service, chassis or body work, or routine maintenance. Please complete the form below to request a RV Service Appointment, RV Body Shop Appointment or RV Paint Shop Appointment.